This is on the list of many Crusader Holidays’ customer’s favourite things! Pretty as a picture, the Austrian Lakes District is a glorious region of beautiful lakes, soaring mountains, hills and charming villages. You will see it at its best when we visiting Mondsee, picturesque St Wolfgang and photogenic Hallstatt. This tour is set to be even more spectacular in 2015. As its the year of the 50th anniversary of the renowned ‘Sound of Music’ film. 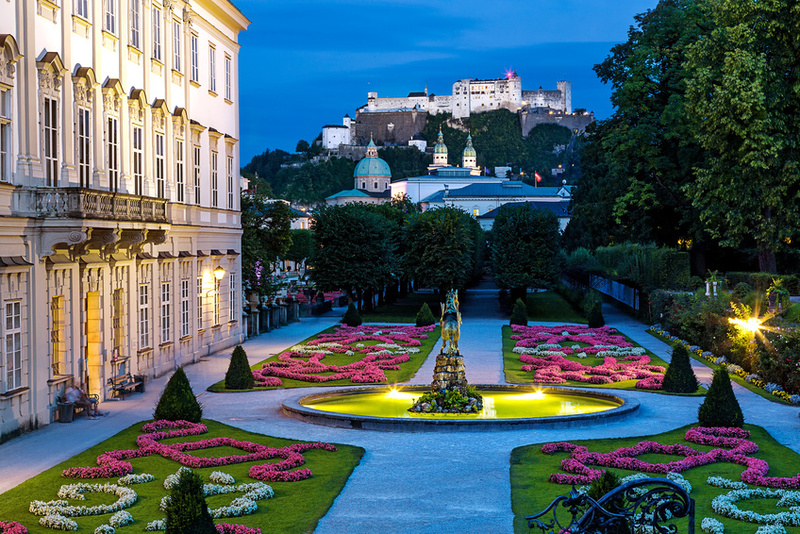 We visit the colloquially named ‘Sound of Music’ city of Salzburg, and many of the other sights and scenes within our Austrian Lakes – ‘Sound of Music’ tour. Marvel at the sensational views, still as mesmerising 50 years on from the film release. We journey to the Lake District, known locally as the Salzkammergut. Our first stop, when exploring the glorious sites of the ‘Sound of Music’ musical is the beautiful lake-side town of Mondsee. In the middle of the town centre of Mondsee, you’ll find St. Michael’s church used for the iconic wedding scene in the film. Then we venture to the scenic St Gilgen & St Wolfgang both featured in the opening scenes of the musical. St Gilgen is also famously known as the village that was the source of inspiration for Mozart! Don’t forget whilst visiting the Salzkammergut region, to look out for the memorable castles, you can see the Kloster Höglwörth, an old monastery on a peninsula in Höglwörther See and Schloss Anif, all treasured sites of the film and the country of Austria. 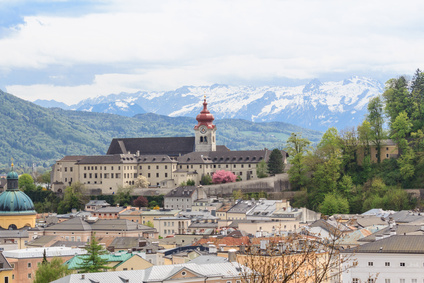 We continue our journey through to Salzburg, the main setting for the ‘Sound of Music’. Salzburg is renowned for its churches, palaces and gardens. It is a charming Baroque city in its own right, dominated by the magnificent Hohensalzburg Fortress, church steeples, quaint courtyards and magnificent buildings. The Hohensalzburg Fortress is a must visit whilst in Salzburg. As you walk back down, remember to head round to the back of the castle, as it will take you past the Nonnberg Abbey, where the ever iconic opening scenes of the movie were filmed. 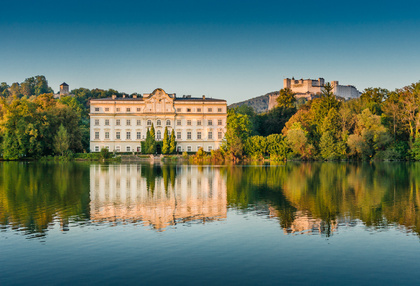 Also whilst in Salzburg, you may spot the rear, lakeside terrace, of the ‘Von Trapp’ mansion: Schloss Leopoldskron. The ‘Von Trapp’ family are the inspiration behind the film. Don’t forget you could stop by Mirabell Palace & Gardens, featured as the backdrop to the staging of the song ‘Do Re Mi’ in the film. Furthermore as you wander through the old town of Salzburg, you’re sure to spot so many sights and scenes you recognise. ‘I Have Confidence in Me’ was also filmed in Salzburg’s Old Town, in the Residenzplatz; here you’ll also spot the Residenz Fountain, in which she splashes in the staging for this number. Finally as our journey of sights from the ‘Sound of Music’ nears a close, our final point of interest is the Lake Attersee, to the south-west of the lake you can see the Schafberg, known for its train that features in the film. 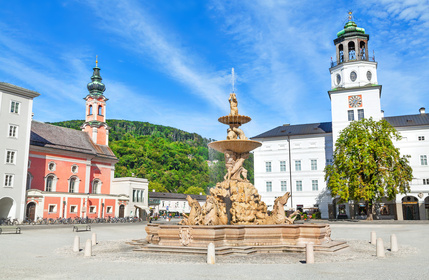 This tour allows you to emmerse yourself, in the full spirit of the ‘Sound of Music’ taking you on a whirlwind tour of the sights, sounds and scenes of the legendary film and is sure to be the holiday of a lifetime. Also on this tour, we visit picture-postcard Halstatt, a photographer’s absolute dream! Plus, the fantastic Bechtesgaden, arguably, one of the most scenic places in the Bavarian Alps and the ‘Eagles Nest’ with so many photographic opportunities, jaw dropping views, it’s an absolute must to add another dimension to your tour with us and the ‘Sound of Music’ region. 1. 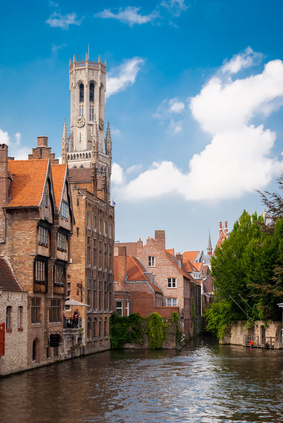 Take a canal tour – a tour along the canals in Bruges is an absolutely must, no matter how many times you do this tour, the sights are ever-changing and it’s still as magical as the first time. 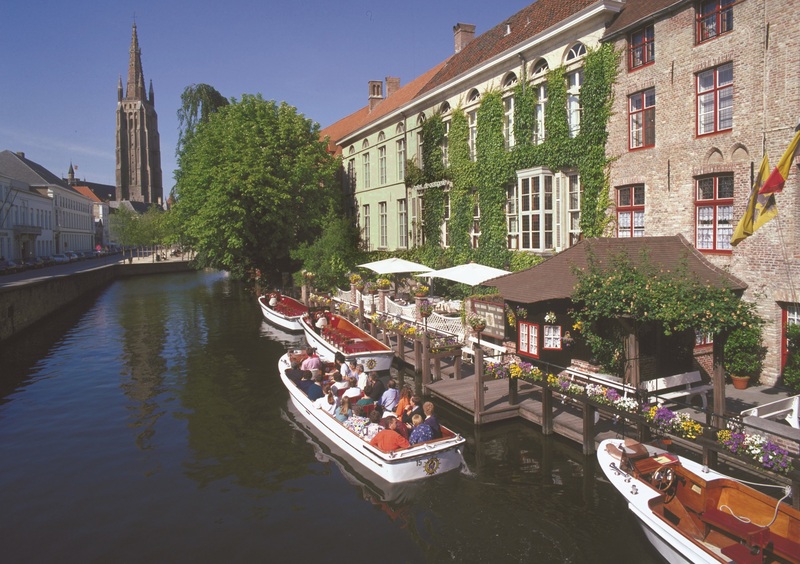 On most canal tours, you’ll find multilingual guides that provide a great history of the city for new and old visitors to Bruges. 2. 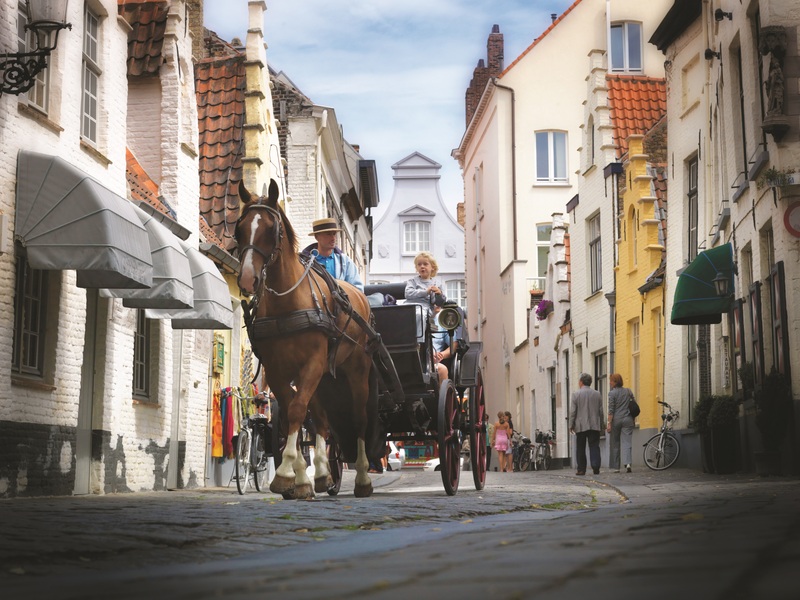 Take a ride on a horse drawn carriage – Travel around the old city of Bruges in style, with an air of romance and history; this is the perfect treat for you and a loved one. 3. A visit to Minnewater Park – the Minnewater (Love Lake) and its lovely Minnewater Park is one of the most romantic places in Bruges. On a visit to this lovely park, you can spot some ducks and swans, swans are a well-known symbol of Bruges and you’re bound to spot them often over your stay! 4. Chocolate, Beer or Mussels & Fries – whatever comes to mind, indulge it all, you’re on holiday after all! 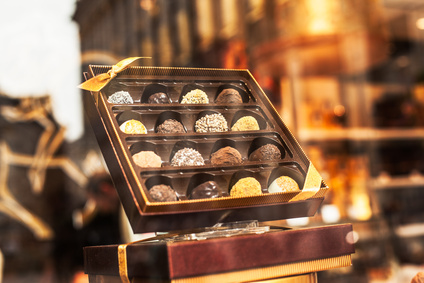 In the city of Bruges, there is a museum dedicated to the story of chocolate and the world’s only museum – dedicated to the story of chips! Both a great and tasty visit if you get the chance! 5. Don’t miss the great choice of local markets! On a Saturday, a market is held at the Zand Market Square, which is a must see area to embrace the full culture of Bruges. 6. Visit one of the many museums – If you have the chance, a visit to this Groeninge museum of fine art is a must! 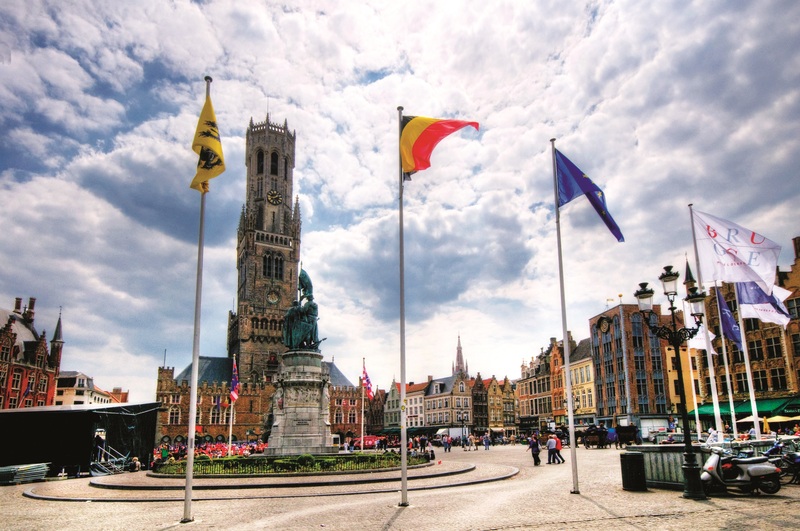 It’s highly rated on all of the article and blogs recommending the top destinations to visit in Bruges. Or the Gruuthuse museum, a museum of applied arts and don’t forget the world’s only museum dedicated to the story of chips! 7. 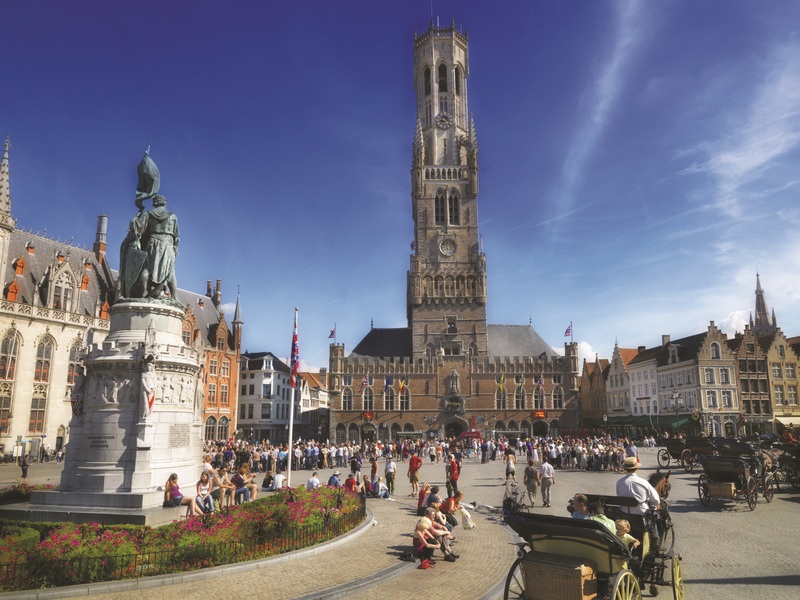 Stop by all the amazing monuments – The Belfry is a must, being the most important of Bruges’ towers; it stands 83 metres tall, once at the top, experience the breath-taking, panoramic views of Bruges, some of the best in the city. Also in the centre of the Zand Market Square are the monuments to Pieter De Coninck and Jan Breydel two iconic monuments to admire and of course, there are many, many more. 8. 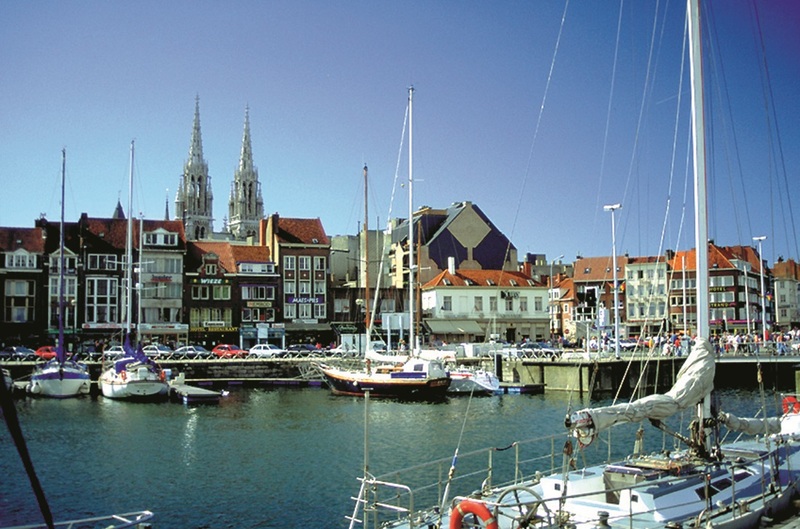 Ostend, known as the Queen of the Belgian Coast – Join us for an optional excursion, to the quintessential cosmopolitan 19th century beach resort contrast of the historic town of Bruges, a must to experience the full variety that Belgium has to offer. 9. 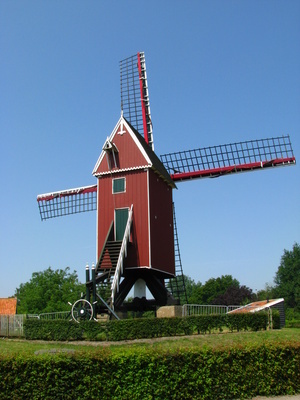 Stop by the charming little town of Sluis – Join us for an optional excursion as we go just over the border into Holland, Sluis is complete with its own working windmill. Add another dimension to your break away by visiting Sluis. 10. 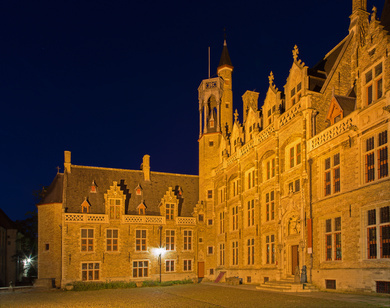 Experience Bruges at night – With so many restaurants, pubs and bars to wile the evening away you’re sure to find something to keep you entertained of an evening, in Bruges. Not to mention the scenery at night is just spectacular, it’s just breath-taking to walk and see that which you’ve experienced in the day in such a different yet still magnificent perspective at night. Which Warner’s Leisure Resort is right for you? With so much choice from magnificent manor houses like Thoresby Hall Historic Hotel & Spa to stunning seaside villages like Corton Coastal Village, you’re spoilt for choice with a Warner’s Leisure Resort Break. Whether you like getting lost on long walks through the meandering, rolling hills of the inland UK whilst staying at Cricket St Thomas Hotel in Somerset or take a refreshing stroll along by the stunning coastal scenery that Great Britain has to offer at the Norton Grange Coastal Village on the Isle of Wight? All the Warner Leisure Resorts are fantastically located so you’re sure to find something to suit your needs. Short stay or a week away? Whether you want to go away for week or just a weekend, Crusader Holidays offers a variety of lengths of breaks to all the Warner Leisure Resorts. A fun-filled adventure or escape for a relaxing retreat? Whether you enjoy a fast-paced escapade on your holidays or calm, peaceful serenity – Warner’s Leisure Resorts offer it all. From relaxing in the spa at many of the Country Hotels – being pampered head to toe with beauty treatments, relaxing with a massage or enjoying the sauna or jacuzzi to an afternoon enjoying a painting workshop at Nidd Hall Historic Hotel. The opportunities to wind down and relax at Warner Leisure Resorts are endless. Or why not settle for something in-between with a game of indoor bowls at Gunton Hall Coastal Village or an afternoon wine tasting which is offered at many of the resorts. Get into the fast lane with something a little more sporty be it archery, tai chi or zumba or even electric bike hiring at Sinah Warren Coastal Hotel. Or perhaps something a little spooky wil the ghost tours offered at the majestic Bodelwyddan Castle Historic Hotel in North Wales. Or perhaps make the most of your time away with cocktail making at Alvaston Hall Hotel or afternoon tea on the tea terrace overlooking the lake at the Holme Lacy Historic Hotel. There is something to keep everyone entertained. Whether it’s a Room or a Chalet you can upgrade to your choice of luxury. Upgrade to a ‘Supreme’ or ‘Supreme Plus’ Chalet at the Lakeside Coastal Village which include a separate sitting room with large screen TV, newly refurbished, rich décor and a bottle of red and white wine to enjoy whilst you’re away. Dinner with friends or a table for two? Experience award-winning food from the Blue Room at Thoresby Hall Historic Hotel & Spa or fine dining at the Orchard Restaurant in Holme Lacy Historic Hotel or why not dine at Fenocchis Tuscan Italian Restaurant at Cricket St Thomas Hotel and experience something a bit different. Entertainment is varied across all the resorts – at the Littlecote House Historic Hotel, Berkshire they have a brand new Show Lounge for fantastic evening entertainment. Entertainment is as standard across all the Warner Leisure Resorts, with music across all the eras from the 50’s to the noughties, many themed nights – be it the west end musicals, tributes or the blues, you are really spoilt for choice across the board. Not forgetting there are often many star names to meet, greet and enjoy and for those that music is not there first choice there are often great comedians, who are sure to get you in fits of giggles rather than up on the dance floor! The choice of entertainment is unrivalled. Whether you prefer to stay in the resort or venture afield, all the Warner Leisure Resorts are surrounded by fantastic attractions. The Bembridge Coast Hotel on the Isle of Wight, boasts a vast array of attractions outside of the resort from Cowes, the Needles or to Osborne House or in North Wales, the Bodelwyddan Castle Historic Hotel allows you the option to visit nearby Snowdonia. So which Warner Leisure Resort will you choose?